How competently and consistently are your teams delivering your pitch? We know it's hard to get our teams on message. We'll help you make it happen efficiently and effectively. Become marketing's best friend by getting all your teams on message and representing your brand the right way. Roll new corporate pitch messages and playbooks in minutes with coaching aids. 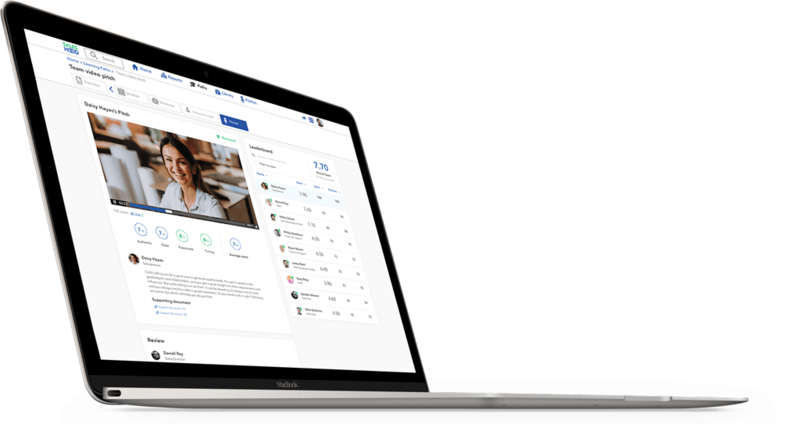 Speed your team's productivity with micro-certifications and bite-sized content. Accelerate results by engaging managers to review pitches and opening up peer reviews. Make the top pitches readily available in a library of best practices. See what happened when FinancialForce tackled this priority. Hear how FinancialForce doubled win rates, reduced rep attrition, increased deal size and reduced time to close deals by getting and keeping their teams on message. Practice and reinforce learning with video role-plays. Helps managers facilitate effective coaching feedback and best practice sharing. Gamification and peer learning combine to make getting up to speed fun and engaging. Track your team’s engagement and see how it impacts to sales performance.